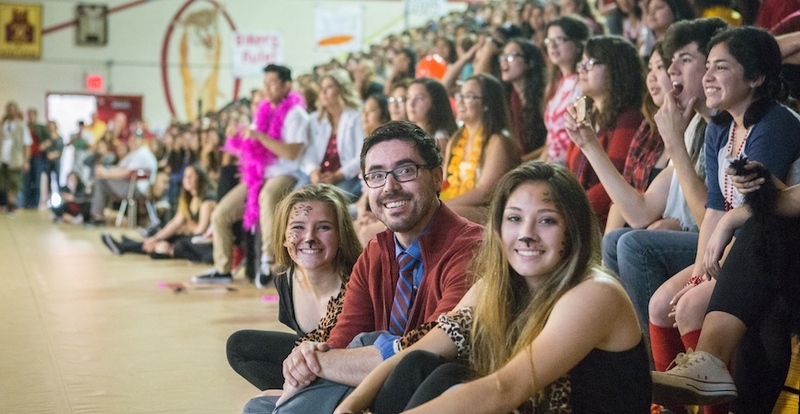 Students and teachers attend a high school pep rally in Merced. Does diversity have a positive effect on economic outcomes? According to a new study co-authored by UC Merced economics Professor Justin Cook, the answer is yes, even when the diversity is imperceptible to the casual observer. 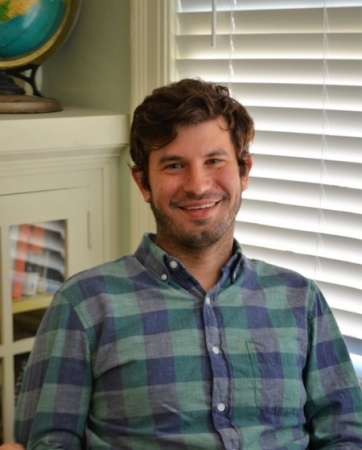 Cook and his former postdoctoral advisor, Professor Jason Fletcher of the University of Wisconsin, wanted to test a contentious hypothesis that argues for a link between genetics and economic development. According to this hypothesis, societies with more genetic diversity are more innovative. “Genetic diversity creates different types of people. Different types of people interacting are going to create novel solutions to problems,” Cook said. This helps explains why diverse societies throughout history have tended to be more prosperous than homogeneous societies. But the hypothesis also postulates a limit to the amount of genetic diversity that’s beneficial to society. Too much genetic diversity causes populations to fragment along ethnic lines, creating societal fissures that impede collaboration. It’s a hypothesis that engenders both curiosity and criticism. Detractors assert that it’s merely capturing obvious historical trends. Cook and Fletcher, however, wanted to explore the hypothesis further. But they needed a way to disentangle genetics from other variables associated with global economic development. The Wisconsin Longitudinal Study (WLS) offered Cook and Fletcher just what they needed. The WLS is a long-term study of some 10,000 people who graduated from 338 Wisconsin high schools in 1957. Participants were monitored over the course of their lives, with researchers tracking, among other things, their education, employment, personality traits and economic well-being. In the mid-2000s, the WLS started collecting genetic data from participants. This allowed Cook and Fletcher to quantify the hidden biological differences in a seemingly homogeneous population. Combing through the combined genetic and socioeconomic data, Cook and Fletcher identified multiple links between genetic diversity and later-life outcomes. In their working paper, published by the National Bureau of Economic Research, Cook and Fletcher show that people who attended more genetically diverse high schools ended up with more years of schooling, greater occupational diversity, more prestigious jobs and higher incomes than those who attended high schools with less genetic diversity. The study also shows that those who attended diverse high schools scored higher on measurements of extraversion and openness to experience, two key personality traits associated with divergent and creative thinking. Cook and Fletcher also replicate an earlier study that looked at European immigration to the U.S. in the late 19th and early 20th centuries. The study found that American counties that attracted more genetically diverse pools of European immigrants also experienced greater prosperity, lasting well into the 21st century. Although their findings suggest that diversity is a net positive, Cook points out that their study may fail to capture instances when genetic diversity is less benign.